Visit Toronto, the capital of Ontario, and dive into an incredible escape featuring culture, fine dining, and amazing attractions. Fantastic flight choices with United Airlines® make Toronto a perfect trip for families, with science centers, zoos, museums, and more to explore. 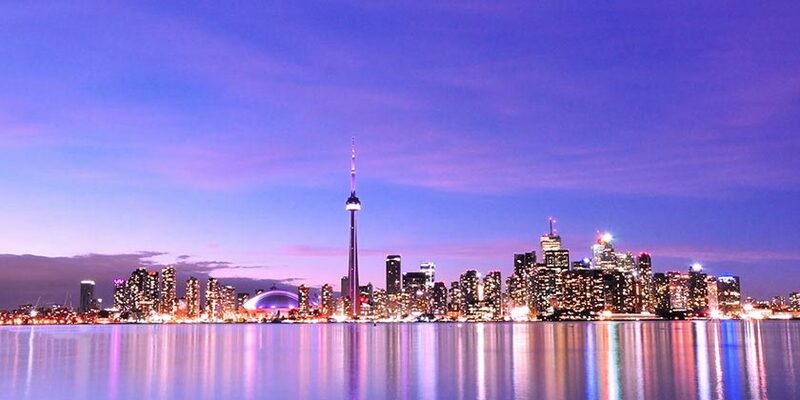 Climb the infamous CN Tower or visit the Hockey Hall of Fame, the Gardiner Museum, and The Bata Shoe Museum. Embrace the multicultural aspect of Toronto and explore Kensington Market and Harbourfront Centre. Explore the bustling metropolis of Toronto and shop, eat, and embrace the culture of this wonderful city. Lunch overlooking the Falls, free time at Niagara Falls, free time at Niagara-on-the-Lake and take the Maid of the Mist or Journey Behind the Falls boat trip. Visit Toronto attractions for one low price. Includes tickets to CN Tower; Casa Loma; Ontario Science Centre; Royal Ontario Museum; and Toronto Zoo. Experience Toronto like never before and take a helicopter tour over the city! Resort info: Eperience a taste of the city’s rich history. Built in 1929 and nestled across from Union Station, it has been restored to its original elegance. Resort info: Just minutes from top theatres, shopping and dining of downtown, this tasteful hotel provides the perfect setting for holiday fun and entertainment. Resort info: A refreshing oasis among Toronto's downtown hotels with a superb location in the heart of the city's theatre and entertainment district. Resort info: Located close to highways and downtown Toronto, this hotel has a comfortable atmosphere, convenient amenities and all the perks you desire in a hotel.